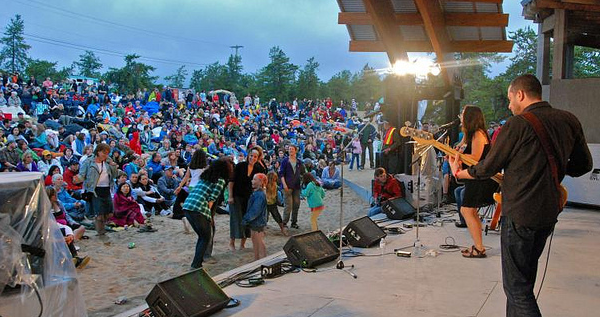 Folk on the Rocks, the north's largest annual summer music festival, will be held in Yellowknife this weekend from July 14-17, 2011. The festival draws musicians and fans from all over the NWT, Nunavut and across the globe for "the North’s biggest party under the midnight sun". Folk on the Rocks offers four jam-packed days of music and entertainment on six stages, including a children’s area, cultural area, international and traditional cuisine, and Northern creative works featured in the Art on the Rocks area. Check out the Folk on the Rocks 2011 Full Festival Lineup for more information.